HomeBlogUncategorizedHow Does a Sewer Inspection Help Your Plumbing System? How Does a Sewer Inspection Help Your Plumbing System? When it comes to plumbing lines, anything from an overgrown root system to a rat or other animal caught in the pipes can cause a backup. Luckily, in today’s plumbing world, there is no need for digging to repair most water lines and sewer pipes. In fact, with the help of modern technology, your plumbing clog can be fixed quickly and more efficiently than ever before. A Sewer Inspection Can Minimize Damages and Repair Costs to Your Sewer Lines. As a homeowner, you face many hazards within your home that could quickly turn into costly hassles. One of those problems is a clogged or backed up plumbing pipe. Backed up sewer lines can cause sewer water to collect in your bathtubs and sinks and can lead to safety issues. Backed up water lines can cause poor water pressure and sedimentary build up that leads to pipe degradation and water contamination. Keeping your pipes clean and in good shape can help prevent backups, leaks, and other plumbing problems. The most efficient way to ensure plumbing health in your home is with a plumbing inspection and cleaning service. These tasks allow a plumbing professional to inspect your pipes with the use of a small sewer inspection camera and locator equipment which allow the expert to see inside your plumbing system, much like the scope a doctor uses. Sewer and water line inspections help to identify, locate, and eliminate your pipe problems to prevent more serious issues in the future. With regular inspections, you can ensure that your water isn’t leaking away into the soil or picking up unwanted contaminants through worn seals and cracked pipes. You can also ensure that your family won’t have to deal with drain backups or non-flushing toilets. While sewer cameras are available at your local hardware supply store, calling a professional is recommended. Because of the variation in size, quality, and age of residential sewer and water pipe systems, an expert is best left to decide on the best sewer inspection camera for your home’s needs. How Long Does a Sewer Inspection Take? The amount of time a sewer inspection takes depends on the size and shape of your home as well as the number of plumbing pipes. Some homes are done quickly, and can even be completed within just a couple of hours. However, larger homes and homes with extensive plumbing could take the better part if a day to complete a comprehensive inspection. How Much Does a Sewer Inspection Cost? Like the timeframe, your plumbing inspection cost depends heavily on the size and intricacy of your plumbing system. However, you can expect to pay anywhere between $70- and $95 per hour for a comprehensive plumbing inspection. Typically, a professional plumbing team can locate and repair your pipe without the need for trenching or digging. This is done with the same camera used for inspection. The damaged area is located and assessed, then an expert can use a specialized tool to cut away and replace the pipe or to reline the pipe, creating a new seal that eliminates leaks and cracks. 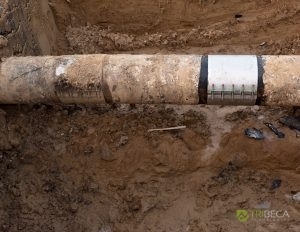 What Does it Cost to Replace a Sewer Line? 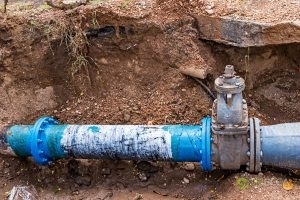 If your sewer line is too damaged to repair with a pipelining, your plumber may recommend a replacement. Much like a pipelining installation, plumbers can use a specialized tool to cut away the old pipe while threading in a new pipe. Plumbing Health is Imperative for Manageable Water Bills and Healthy Drinking Water. This new and innovative technique eliminates the need for costly trenching and landscaping, saving you money, time, and hassle. In fact, by using these new methods of pipe repair and replacement, your project can be completed on the same day and without extreme equipment or labor charges, in most cases. If it’s time for your water line and sewer inspection in the Dallas, TX area, call the Tribeca Plumbing, Inc. team to help. Our professionals are experienced and knowledgeable in all types of plumbing inspection and repair for quality service you can count on. The Tribeca Plumbing, Inc. team will perform a complete inspection of your plumbing system and discuss the results with you, detailing all damages, weaknesses, and degradation so you know exactly what to expect. We will go over each of your options to help you make the right choice for your home and complete your service quickly and efficiently for minimal disruption to your day. Call our experts at (214) 402-5454 when you need sewer camera inspection or repair in Dallas, TX that you can trust. Posted in Uncategorized on January 2, 2019 at 9:02 pm by Tribeca Plumbing, Inc..